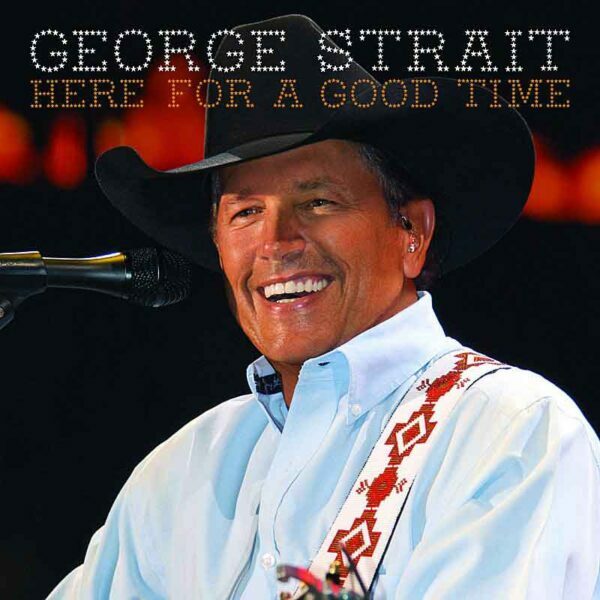 “Here for a Good Time” is the twenty-seventh studio album by American country music artist George Strait. It was released on September 6, 2011 via MCA Nashville. Strait co-produced the album with his long-time producer Tony Brown. The title track and lead-off single, “Here for a Good Time“, co-written with son Bubba and songwriter Dean Dillon, was released in June 2011. The album sold 91,414 copies in its first week. On November 30, 2011, the album received a nomination at the 54th Grammy Awards for Best Country Album. Strait co-wrote seven of the album’s eleven tracks with his son, Bubba Strait, and songwriter Dean Dillon. “Here for a Good Time,” the lead off single, debuted at number 29 on the Billboard Hot Country Songs charts, making the second-highest debut of his career. Here for a Good Time was recorded at Shrimpboat Sound Studio in Key West, Florida, the same studio where Strait recorded his last three albums.